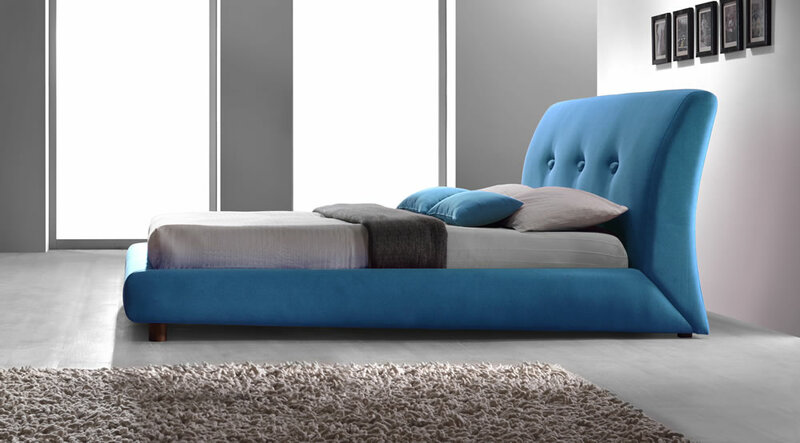 The Time Living Sache fabric bed comes in a choice of three bold fabric colours blue, grey or pink in standard UK double. 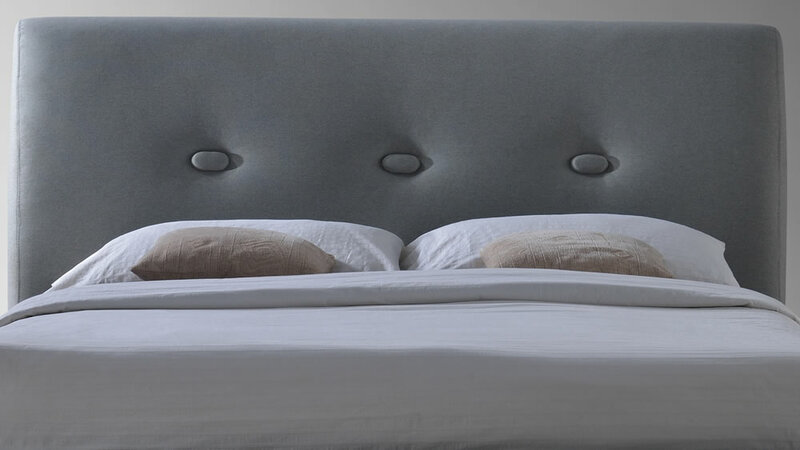 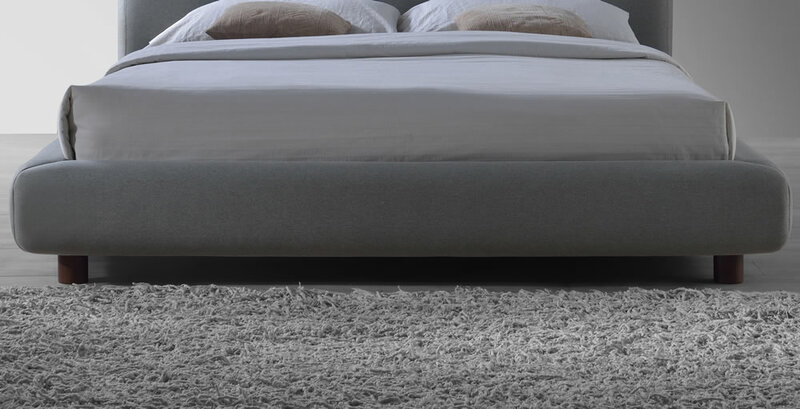 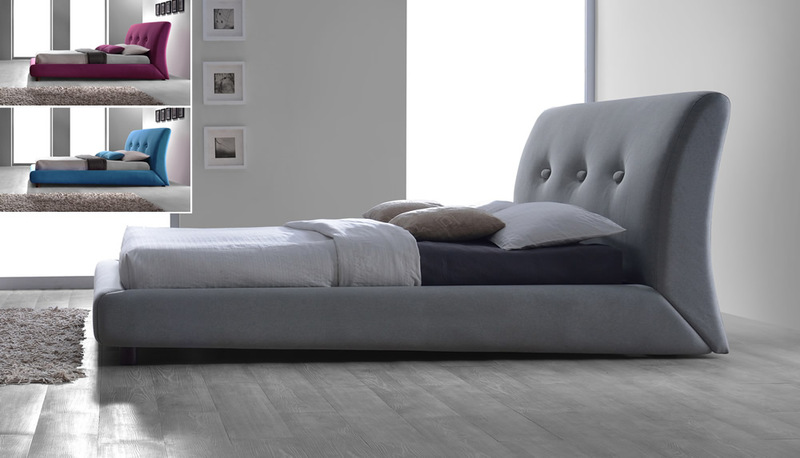 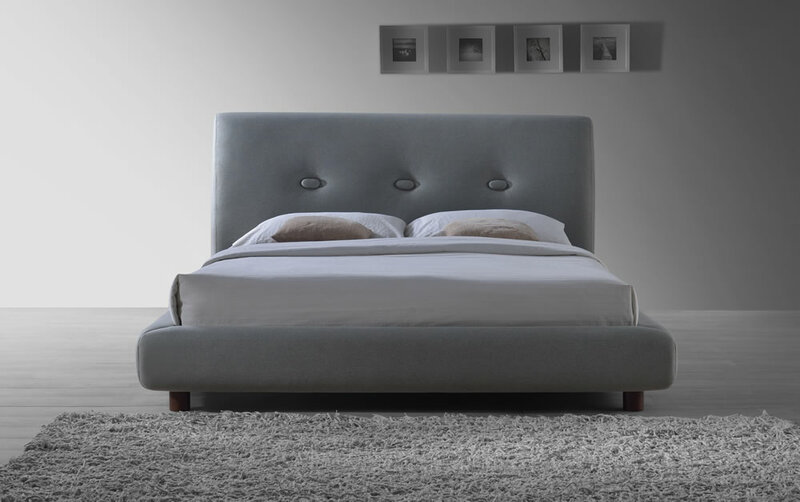 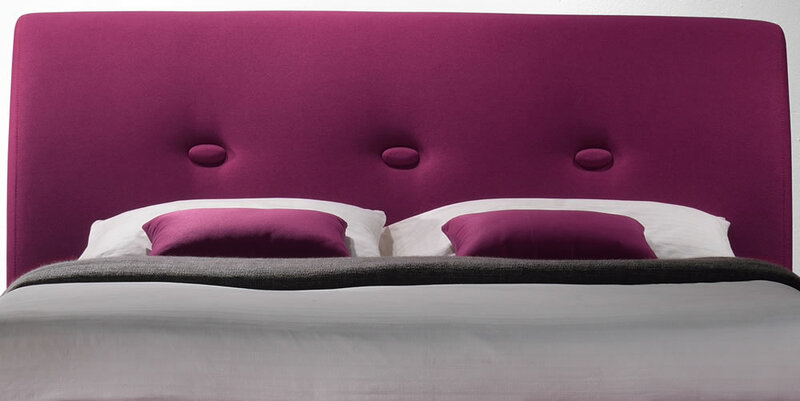 A modern bed frame offering a tall padded curved headboard with three large centre buttons, low side rails and foot end. 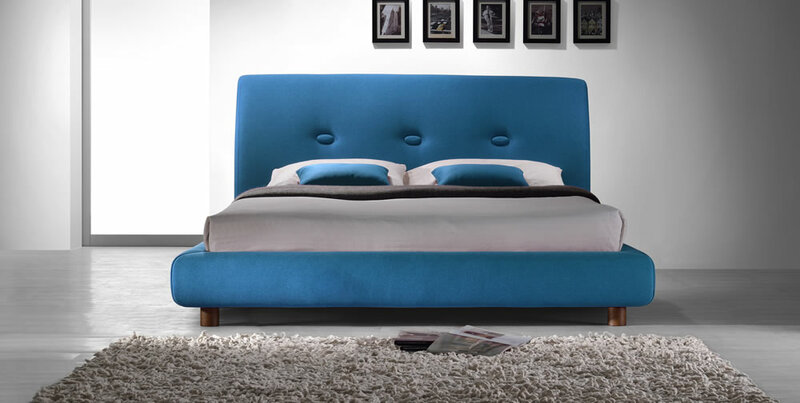 To compliment the striking design and colours the Sache bed frame has solid round wooden corner feet whilst offering additional comfort with a sturdy sprung slatted base.